Tatiana de la Tierra — a wonderful poet/performer in her own right — interviewed Hector and Diane in Pasadena on November 17 after reading The Blessing Next to the Wound. She brought buñuelos direct from her recent trip to Miami. Hector made coffee. We talked. And talked. Here is what she wrote following our visit. Inside the psyche of a young man being tortured in that cell at the top of a hill there is a book that will one day tell his story: The Blessing Next to the Wound. A political memoir rife with intimate and harrowing details of fractured life, this book takes deeply personal wounds on a journey to global healing. This is the story of Hector Aristizábal, a Colombian theater artist, activist and psychologist. It is about some difficult issues—abortion, homophobia, drug addiction, racism, exile, prison, immigration, murder, torture, and the U.S. juvenile justice system. It is about the intersection of creativity, ruptured reality, ritual, and therapy. And it is about Colombia, where the story begins and returns to at critical junctures. 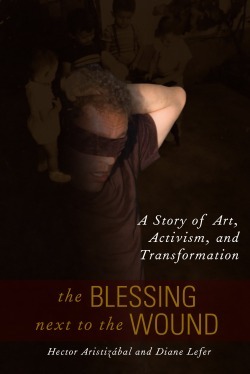 Co-written with Diane Lefer, The Blessing takes place in Medellín, Colombia and Los Angeles, California, with many stops throughout the world. Aristizábal hails from the low-income barrios on the outskirts of Medellín. Rounded up at four in the morning in 1982 by the army in search of guerrilleros, the twenty-two year old university student was taken to a compound where he underwent questioning along with beatings, waterboarding, electric shocks, mock executions, and psychological terror. Ten days later, thanks to pressure from human rights activists, he was released (and went into hiding). His brother Juan Fernando, who had also been arrested, was imprisoned for several months for carrying a machete. In 1999, when his brother was murdered by paramilitaries for his past ties to the Ejército de Liberación Nacional guerrilla group, the enraged Aristizábal demanded an autopsy of his brother’s corpse and photographed the event. 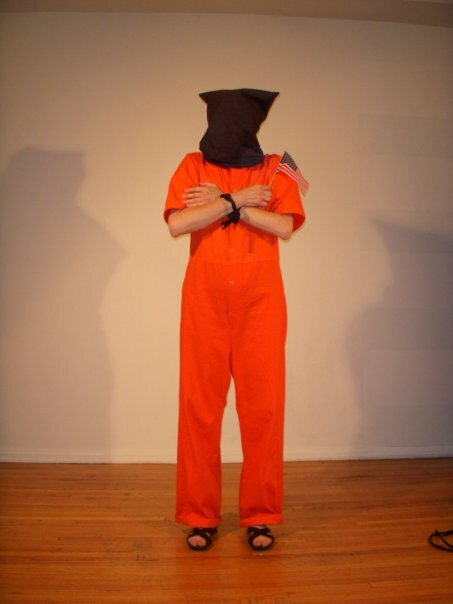 Out of this experience came “Nightwind,” a solo play that re-enacts Aristizábal’s torture and his brother’s autopsy. Co-created with author Diane Lefer and musician Enzo Fina, Aristizábal performs “Nightwind” in the U.S. and around the world. Lefer writes fiction, advocacy journalism, drama, and nonfiction. 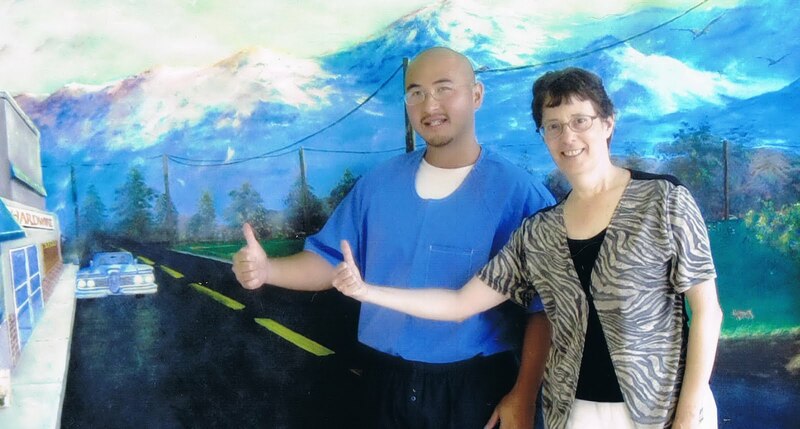 She avidly supports Duc Ta, a young man who’s been unjustly locked up in California prisons since 1999. Her activist affiliations include Witness for Peace, the Program for Torture Victims, and the Colombia Peace Project. As her “young idiot” spirit lives on, Diane Lefer is just about the perfect person to bring The Blessing Next to the Wound: A Story of Art, Activism and Transformation to light. A structural decision she made was to carry the story back and forth, from Colombia to the U.S. and beyond, out of chronological order, letting the themes drive the narrative. In twelve chapters, we are exposed to a man’s private life—a marriage that blooms and crumbles before our eyes, the lingering psychological effects of torture, a fetus pumping with life that falls into the palms of the hands, a group of men shedding tears for the grieving brother who is unable to cry for himself. Just as important are sociopolitical discussions about complex issues brought out from the personal, and abundant anecdotes and psychological perspectives about people healing through crisis. With this approach, The Blessing transcends any one person’s experience. For example, “Life from Barren Rock” is a chapter about Hernán Dario, Hector’s thirty-one year old brother who is dying of AIDS after a lifetime of unacknowledged and unaccepted homosexuality. While the chapter centers on his dying brother’s life, it is also about homophobia, the sexilio of gay Latin Americans who leave their countries of birth to live freely as homosexuals, transgender mujeres in Los Angeles, and the power of ritual. A lot happens in The Blessing, and it took me a bit to get accustomed to narrative jumping around—from personal voice to political discourse, from Medellín to Palestine to Passover dinner, from Hector being in one country, then another, on and on. The book is packed with so many references and information, I wish it had an index. And I appreciate how Colombia is represented here; I can see it vividly. This book is great for anyone who wants to understand the country’s complex history, with concise explanations of La Violencia, guerrilla groups, cocaine mafias, paramilitaries, and phenomena such as los gamines, los deshechables (the disposible ones), young hired killers known as sicarios, and much more. With training in the performance arts in Colombia, Masters degrees in psychology and marriage and family counseling, twenty years of psychotherapy under his belt, serious personal drama and a penchant for mixing it all up, Aristizábal has developed, over time, a comprehensive and creative approach to healing. He travels the world now, teaching techniques inspired by Augusto Boal’s Theatre of the Oppressed. “I also bring psychodrama and the use of ritual, using theatre as a laboratory to explore alternatives to conflict, and theatre with community groups to reconnect with roots of where we come from.” He has offered his workshops all over, including Palestine, Afghanistan, Nepal, India, Northern Ireland, Israel, Canada, Spain, Colombia, Cuba, and the U.S. In Southern California, he has worked with marginalized communities—immigrants, gang members, torture survivors, pregnant teenagers, AIDS patients, “at risk” students and youth in juvenile detention centers. But I won’t tag him as morbid. It’s just that he “goes there” to places that are ugly and uncomfortable. And he stays there long enough to recount, explore, bear witness, find the blessing, and transform. “My wounds have informed my work,” he says. His brother’s homosexuality and struggle against homophobia inspired him to become a therapist. The time spent with his dying brother led to his work in hospice. He framed his experience with torture as an initiation that marked the beginning of a new life. The death of his murdered brother brought shamanism into his personal healing. When confronted with teenage peace activists from Colombia’s Red Juvenil, his internal terrorist shifted out of retaliation. This entry was posted in All Events, Articles, In The News, Interviews, Uncategorized. Bookmark the permalink.